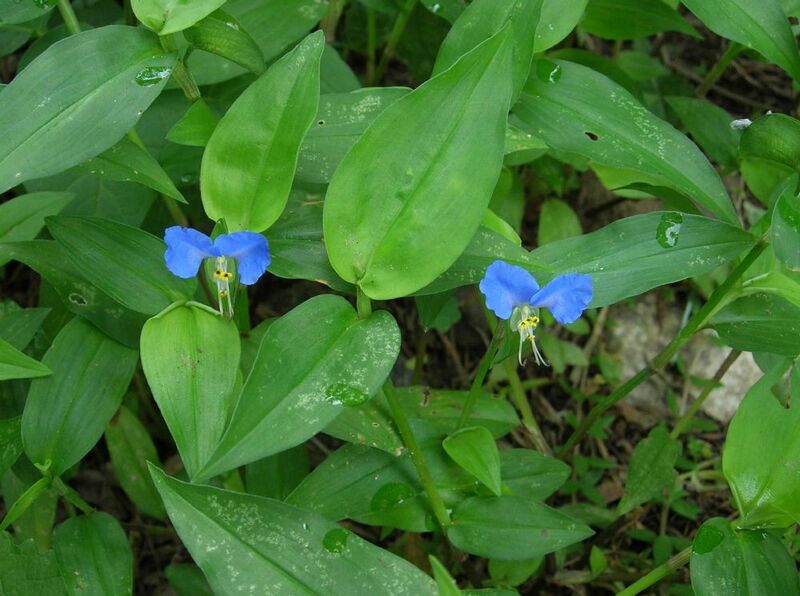 Commelina communis is an Annual monocotyledon, trailing herb, rooting at nodes stems to 80 cm long, succulent, pale green. Leaves alternate, stalkless, basal sheath 1-2 cm, clasping stem, blade narrowly egg-shaped, 5-12 cm long, 1.5-4 cm wide, tip pointed, base slightly lobed. 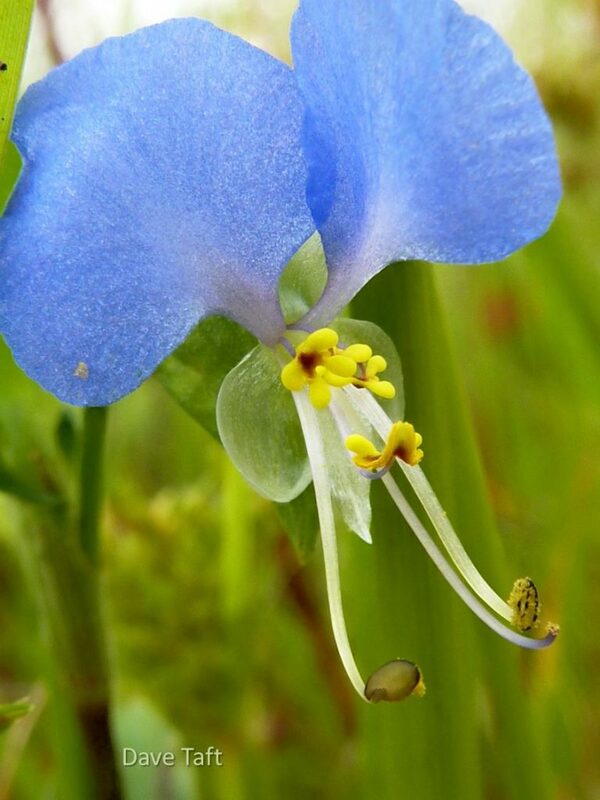 Flowers bilaterally symmetrical, 3 petals, the upper two blue, 0.8-1.5 cm long, the lower one white, smaller, above a green heart-shaped bract sharply folded along midrib, tip pointing downward. 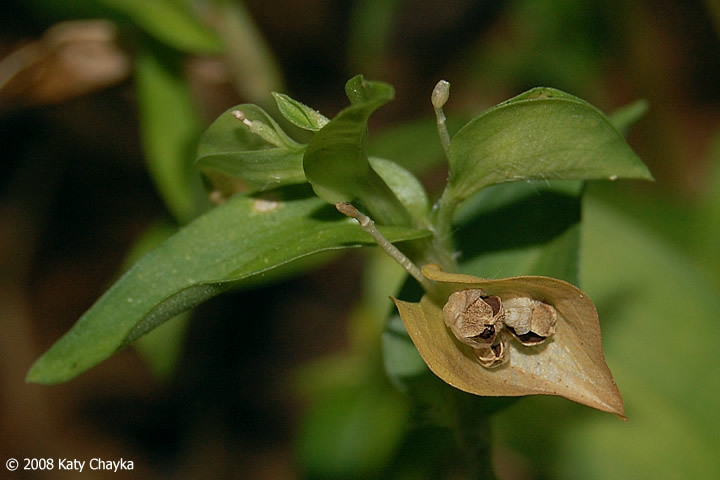 Commelina communis (asiatic-dayflower). © 2008 Katy Chayka. Minnesota Wildflowers. minnesotawildflowers.info (Accessed 1/2018). Habitat: Weed of open ground sun or semi-shade, gardens, roadsides. Can become invasive in some places.